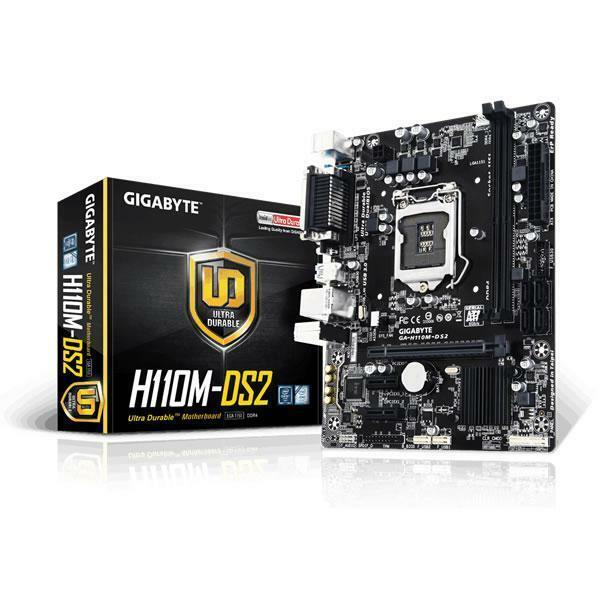 GIGABYTE Ultra Durable Series motherboards feature a range of technologies designed to improve the performance, stability and longevity of your motherboard. 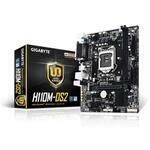 This motherboard supports 6th-generation Intel Core i7/i5/i3/Pentium and Celeron processors in the LGA1151 package. 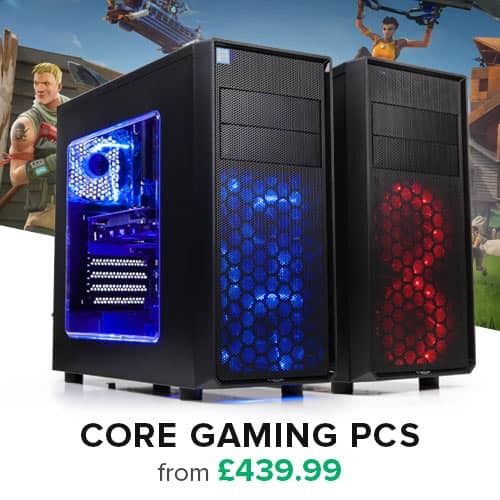 The latest generation of processors from Intel not only out perform the last in their compute power but also feature award winning integrated graphics for faster gaming, multimedia and web browsing. 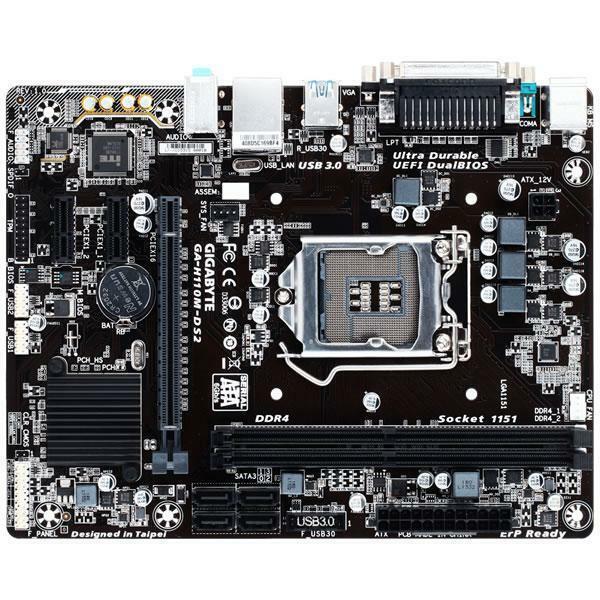 Intel H110 Express is a single-chipset design that supports 6th-generation Intel LGA1151 Core i7/i5/i3/Pentium and Celeron processors. 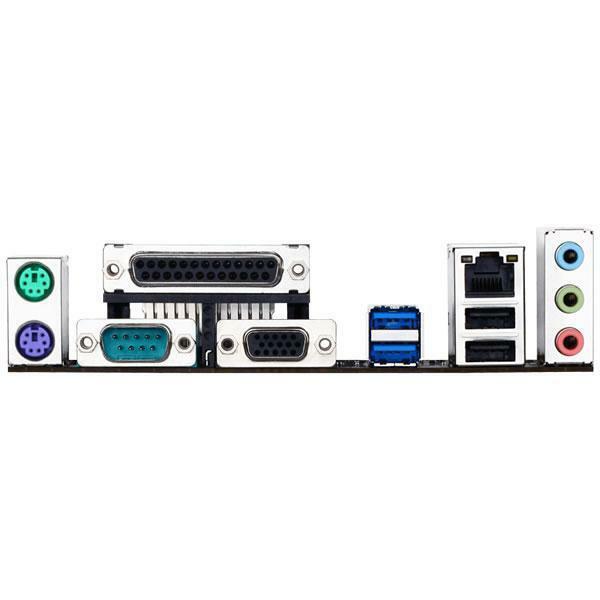 H110 provides a maximum four USB 3.0 ports, four SATA 6Gbit/s ports and supports integrated-graphics (iGPU) functions, so you'll enjoy the very latest Intel integrated graphics performance. 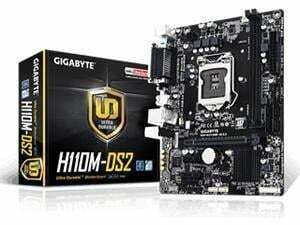 The motherboard supports up to 16GB DDR4 memory that features data transfer rates of 2133 MHz to meet the higher bandwidth requirements of the latest 3D graphics, multimedia and Internet applications. 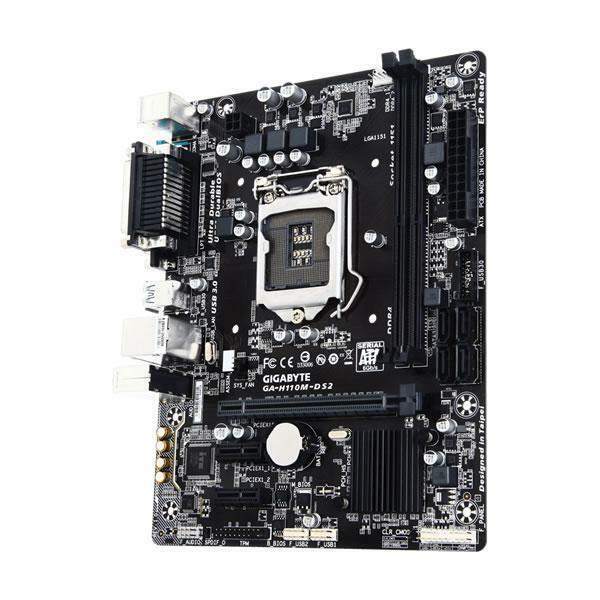 This motherboard is a Micro ATX motherboard with the dimensions of 22.6cm x 17.4cm. 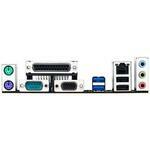 It will fit in any case that supports motherboard sizes of Micro ATX or higher such as a Mini Tower case or larger. SATA 6Gb/s provides double the bandwidth of traditional SATA 3Gb/s, and increases the data transfer rate between your motherboard and internal storage devices, such as 7200RPM HDDs, 10000RPM HDDs and SSDs. It's also the current trend for upcoming high-speed internal storage devices to break the existing bottleneck of a PC's performance. Compared to the 480Mb/s provided by traditional USB 2.0, the new USB 3.0's 5Gb/s offers 10 times the transfer bandwidth, so transferring a Blu-ray movie takes less than a minute. The Realtek ALC887 is a high-performance multi-channel high definition audio codec that delivers an exceptional audio listening experience with up to 90dB SNR, ensuring users get the best possible audio quality from their PC. High Quality audio capacitors deliver the highest quality sound resolution and sound expansion to create the most realistic sound effects for professional gamers.